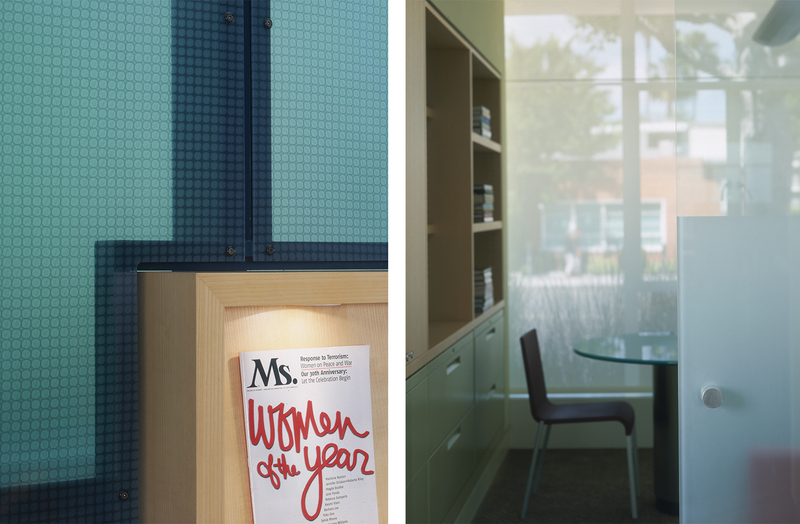 The program includes a flexible conference/presentation room with seating for up to 108 people, open office areas, administrative offices, library, and media center, as well as several informal gathering areas. 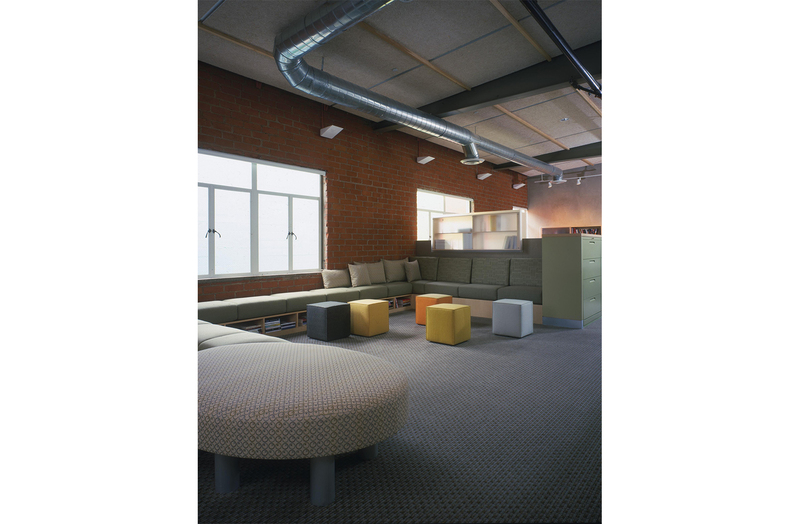 The design affords the opportunity for various work groups to share ideas both formally and informally, and allows the entire space to be used for a variety of scales of public and private gatherings. 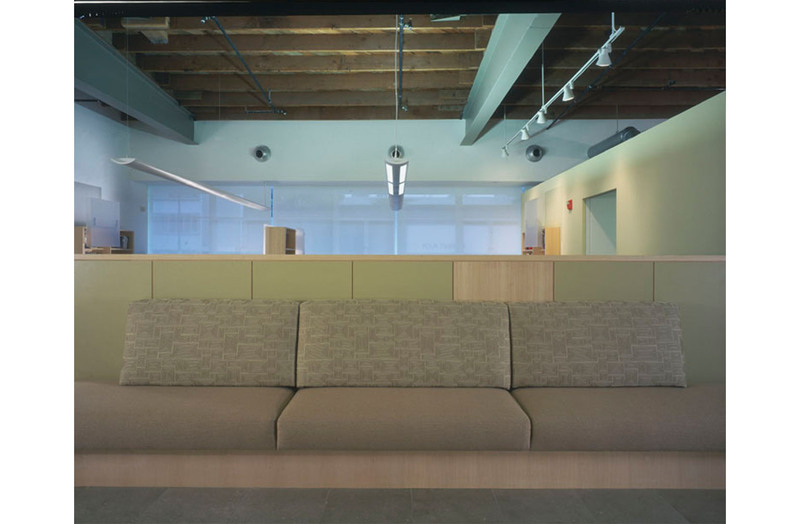 The circular seating area at the waiting area is envisioned as a “conversation pit”, where spontaneous exchange is encouraged. 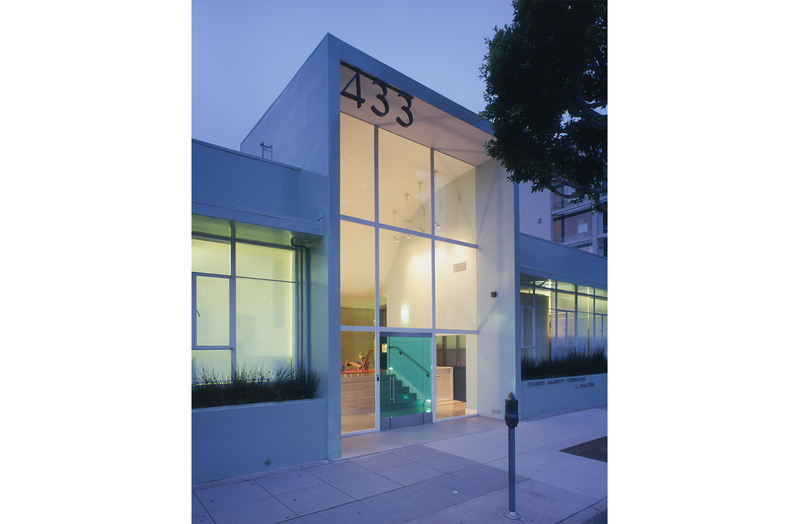 The existing building had unique opportunities to incorporate natural light into the new layout, including several large skylights, a glass wall along the street elevation, and some smaller windows that look directly towards a masonry wall on the alley side of the building. 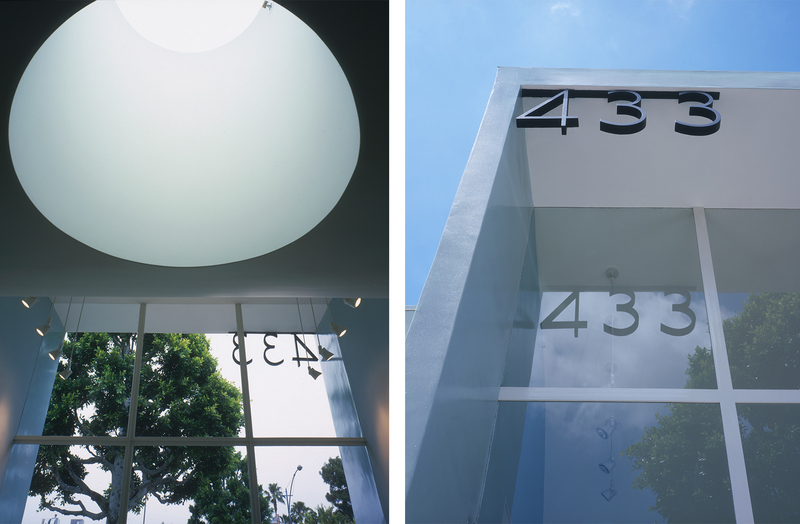 The executive offices, set against the street, are connected to the main office area by large sliding glass panels, allowing light to filter directly through the space, and in keeping with the organization’s belief in a true “open door” policy. 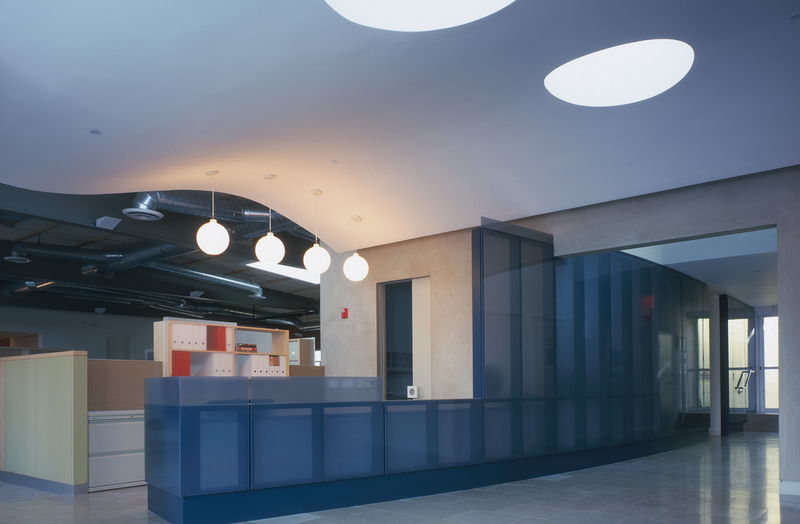 The skylights have been modified in keeping with their location in the space: from shaped lightwells in the public space, to round openings in the entry, to shaded lights over the work bays. 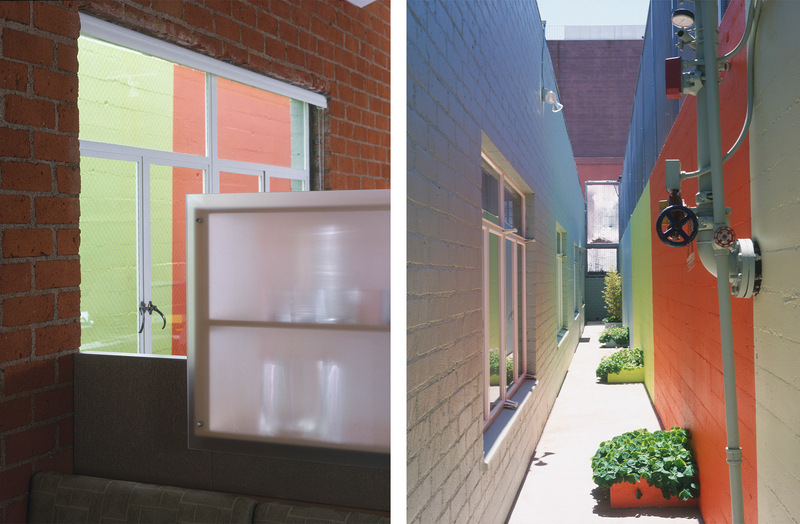 An existing concrete wall 3 feet from the rear windows is re-created as a key building feature, painted a variety of bright hues which personalize each of the existing windows and adjacent work areas, changing the view and quality of light. 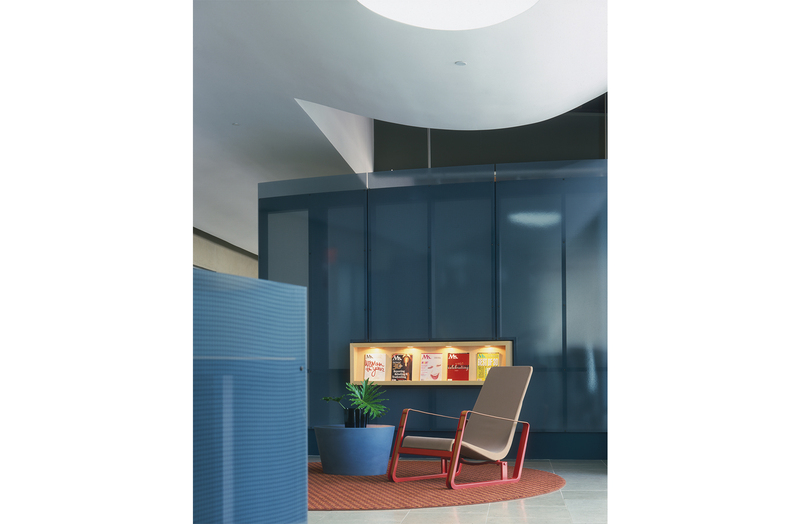 Color is used as a theme, providing accents at obvious places such as the entry / lobby, but also in unexpected places, such as a file cabinet or inside a bathroom stall. 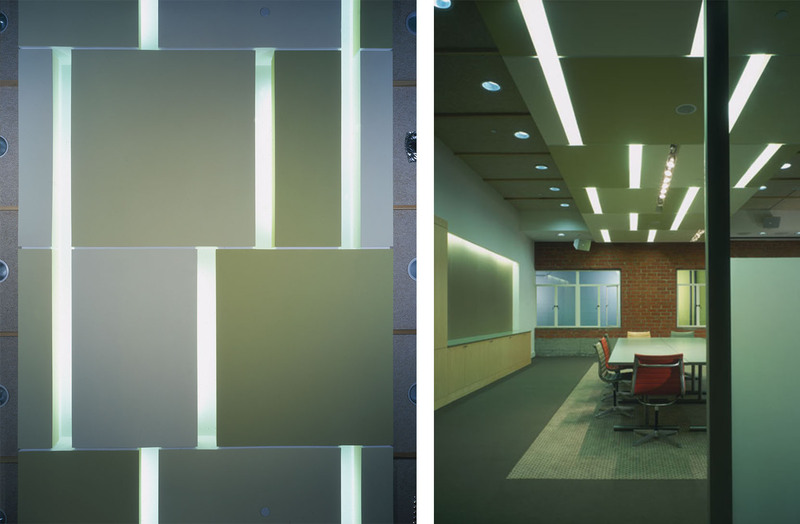 The design reveals itself both in large and small ways, creating an experience that changes, grows and surprises over the course of the hour, the day, and the year.